Tema en 'Ebooks & Tutoriales' comenzado por Lucretiu, 12 de Agosto de 2014. Trust the courses used by nearly 1 out of every 2 pilots. Over the past 38 years, King Schools has helped pilots achieve their aviation goals and dreams. Pilots respond enthusiastically to the KING Computer-based Interactive Video that makes learning to fly Smart, Safe & Fun! Computer-based Interactive Video - Guaranteed Pass! 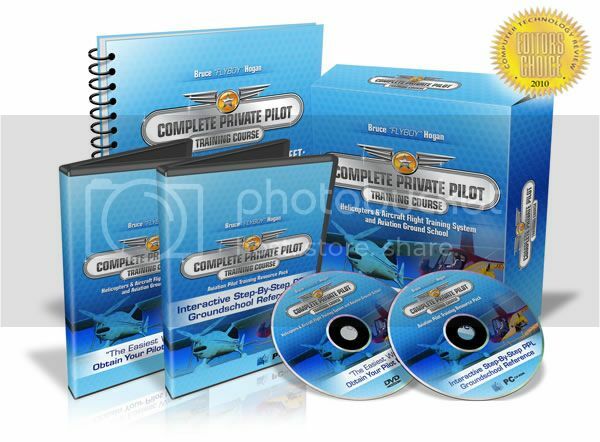 Youll pass your Private Pilot FAA Exams with your KING Private Pilot Knowledge Test and Private Pilot Practical Test (Oral Exam & Flight Test) Course - that´s guaranteed or your money back because KING courses are full and complete Private Pilot ground schools with nothing left out. And you´ll have fun using the unique interactive video and questions designed to utilize the power of your computer. Youll be so engaged by KING s clear, simple, fun presentation and youll get the big picture you need to be the true master of your flight. Youhave the practical tools to really use your license. And having the big picture means youll be ready to deal with the unexpected. Youll know how to make timely decisions and take action before you and your passengers are at risk so your flying will be confident and fun. In short, you´ll be ready to be Pilot-In-Command.